Right on the money! This money clip is designed to keep your cash secure and features an interior pocket and cash pin, as well as an exterior pocket and machine-stitched seam. Perfect for banks and other financial institutions. Available in 7 different leather tones. 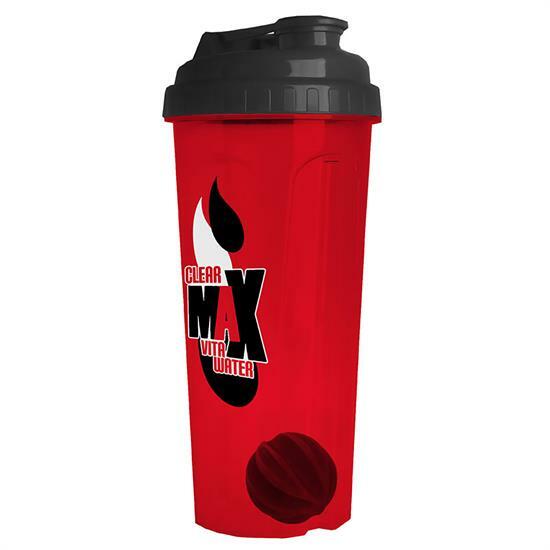 Customize with a deboss or laser engraving to further tailor this item to your specific needs. This product is a perfect complement to your bag or tote. Made in USA. In this industry impressions are everything. And it’s a challenge to find that ideal product that’ll stick around and is consistently visible to your customer. Well, look no further. We have the perfect item for you and it’s always within arms reach – our Rustico Money Clip Wallet. It’s handsome, innovative, practical, budget friendly, and easy to laser engrave logos and names. Make no mistake when you select a Rustico Original product, you get first-rate American Craftsmanship and top-grain sourced cowhides. Our classic Money Clip Wallet is an original proving its lasting value with its handsome surface patina that only improves with age. Holds up to 6 cards but will give with time and use – making room for more cards. An innovative approach to keeping bills in your pocket, literally. Money clips are a different method to the traditional bi-fold wallet design by replacing the cash pocket with a wire clip. Available in hand sewn or machine sewn preferences. Choose from 8 leather color tones. If you are interested in the Rustico Money Clip Walle to promote your own business, or to get a sample, email info@proformagreen.com for information and pricing. Recycled Cotton Market Bag has a plain name, but is still a great deal in a recycled cotton tote under $5 at EQP. The Recycled Cotton Market Bag is made from 8oz recycled cotton at a largish size of 11″L x 15.5H’ x 6W. 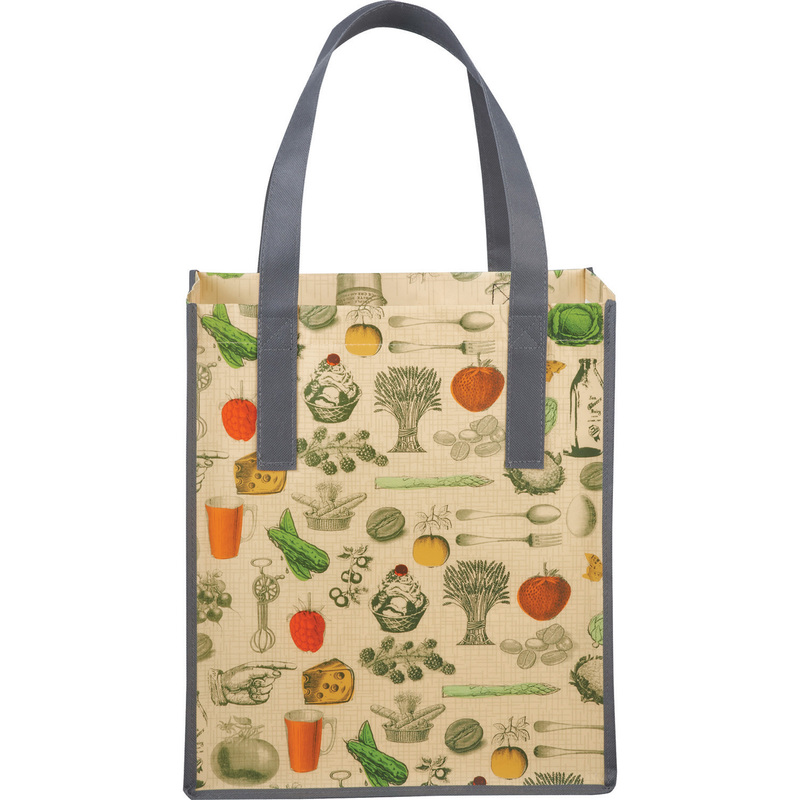 Nearly the full front side of this bag is available for imprint, with an imprint size of 8in. x 8in. for both the from and back of the bag. If you need to go full color with your imprinting, that is also possible via heat transfer at 7in x 8in, on both front and back. And finally, if it is embroidery you are looking for, that can be done on front and back at 5.5in x 5.5in. The Recycled Cotton Market Bag event includes a educational product hangtag, explaining the manufacture of the bag. 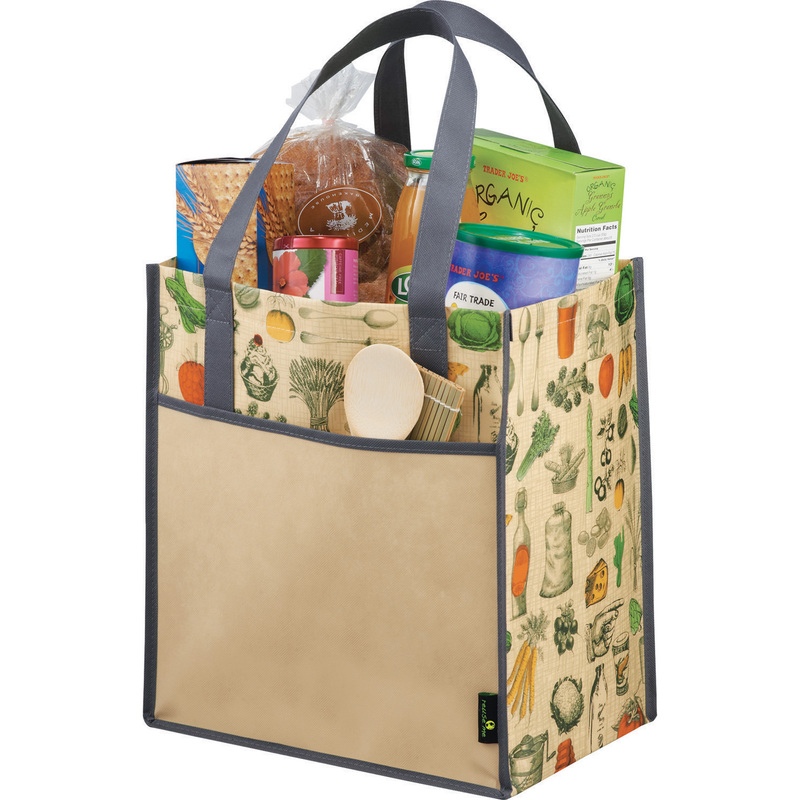 At 85% recycled cotton content, the Recycled Cotton Market Bag is a sturdy bag, great from that farmer’s market, product launch, or company wellness promotion. Take a look at the video to get a full appreciation of the size of this shopper. If you are interested in the Recycled Cotton Market Bag to promote own business, or to get a sample, email info@proformagreen.com for information and pricing. Have you ever really looked at a deck? For the marketing world, I like to think about a deck of cards as 52 little billboards taking your message into the world. And who has ever tossed away a set of cards? I was in a rental cabin in Northern Virginia once, that deck was missing an Ace, two 4s, and the Queen of Diamonds, and it was still there, being used as best we could. Playing cards simply make a great long-term marketing investment. So with all the options out there, why choose to go with The United States Playing Card Company (aside from the totally boss name). Let’s take a look at the list. Their cards have been made in the USA since 1885. Their cards are made from sustainable forest papers. They use a starch based-laminate, that is gentler on water use and the environment. They use vegetable-based inks, also better for the environment. And of course there is the fact that you likely have been already playing with these cards your entire life, seeing how The United States Playing Card Company is the maker of such universally recognized brands as BEE®, BICYCLE®, KEM®, AVIATOR® and HOYLE®. With the option of an individual custom impression on the front and back of each card, playing cards make great tools for training (got to learn beginning Japanese, put a phase on each card), product education (Toyota, each suit can be a car class; Trucks, Luxury, SUVs, and Sedans, with each card a different car model), tourism (come see North Carolina, here are 52 suggested locations), really, if you get creative, the marketing uses are nearly endless. Since you can print the entire surface of the cup, you can really print just about anything. We talk about the stunningly visual cups from Visstun® a lot of this blog, here, here, and here. It is because the product from Visstun® is just so darn versatile. So here is another idea. These reusable cups from Visstun® come in a number different sizes, they are made in USA, they are top shelf dishwasher safe, and they are number five recyclable. This idea is for local high school booster clubs, football, soccer, volleyball, band, baseball, that type of thing. 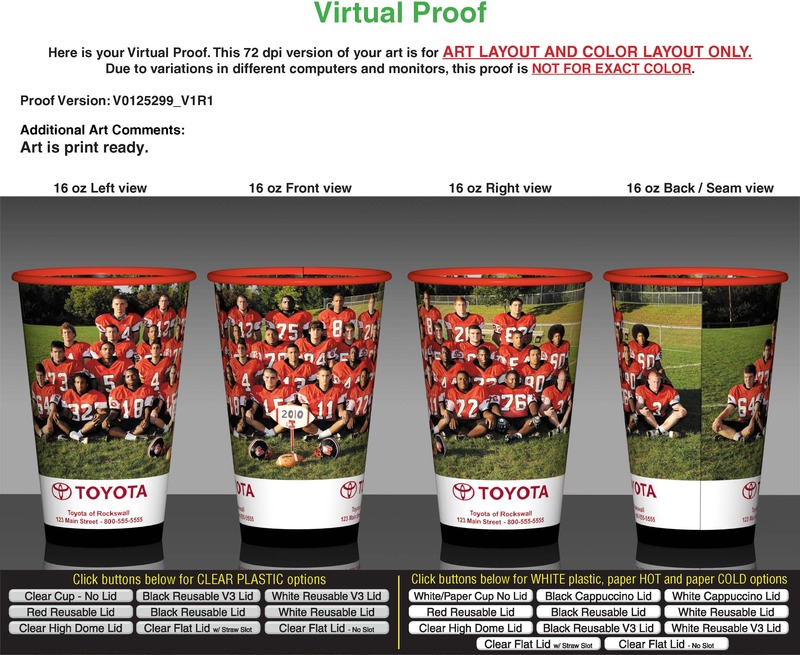 Because of the quality of the Visstun® cups it is possible to print a full team photo in full-color directly on them. 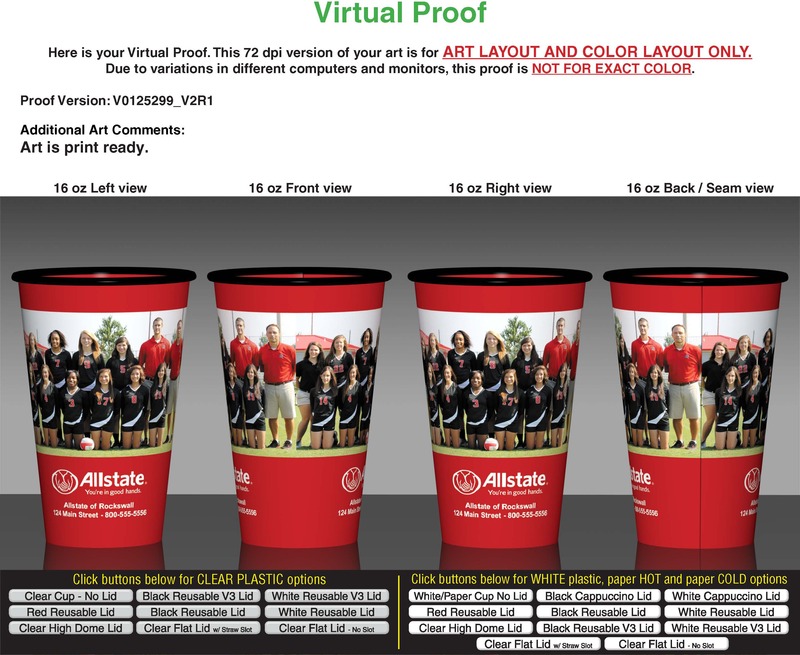 The kicker is to print the contact information of the sponsor on the base of the cup. This could work for a car dealership, a real estate agent, a local restaurant, a local insurance agent, any on interested in reaching the local community, students, and the parents. The cups are then simply given to the local school for use at the concession stand during games. Sell can sell them as a fundraiser if they like, but the idea is to just give them to the school as a way to show support in the community for the local business. My predictions is that no one will throw one of these away, and as they keep the cup as a souvenir of that year’s team, they also keep the contact information for that local business sponsor. Horizontal artwork or photos work best. Bamboo Fish Filet Board: High quality bamboo boards are 16% harder than maple. Constructed from renewable resources. Utensils made with FDA compliant material. It looks like the use of bamboo will continue to grow in 2013, and one of the most practical and long-lasting bamboo promotional items is the cutting board. Cutting boards are great because they almost always end up inside the home, which is normally exactly where you want your brand to be, especially if your product is related to household goods or services. Companies like Starline offer a number of bamboo cutting boards and other bamboo solutions in different sizes for different markets and needs. As you look at cutting boards for your programs, remember that marketers need not go with just the traditional rectangle cutting board, indeed I like the Starline Bamboo Fish Filet Board because it allows a focus on a specific market group, people that need a fish filet board. A few audiences come to mind here, vocational cooking classes, fishing theme vacations, high dollar boat sales incentives. Whatever the shape, the cutting board is practical, and it basically lasts forever with a little care and maintenance. I really think the classic square board is an often overlooked item for banks, financial service providers, and others that really market to a home consumer. If you are ASI and wish to learn more about Starline Bamboo Cutting Boards, contact Starline customer services. If you are interested in bamboo items to promote your own business contact your local promotional items vendor or email info@proformagreen.com for information and pricing.